The New England Patriots had a special visitor at training camp Monday morning. 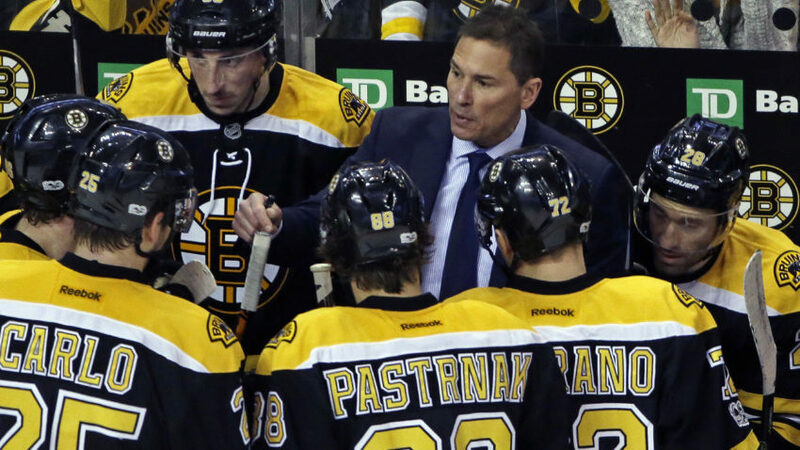 Boston Bruins coach Bruce Cassidy paid the team a visit in which he claimed he was there both as a fan and to learn a few pointers from head coach Bill Belichick. When asked who would be his first-round draft choice for his team, Cassidy didn’t hesitate in his answer. “Gronk!” he said, as the all-star tight end would qualify as a power forward. But what if he wasn’t available, then who’s next? While Cassidy isn’t actually going to get those guys to lace up the skates anytime soon, he surely seemed like he had a fun day at Pats Camp.